ORLANDO — Listen up enterprises: SAP‘s Bill McDermott wants to “keep it real” with you when it comes to the changing needs of IT. In fact, the CEO for the business applications provider used the phrase several times during his keynote at the company’s 28th annual SapphireNow & ASUG Conference event this week in Orlando. SAP as a company aims to do a better job of knowing more about customer concerns in order to succeed, he said. Innovation is about products, listening to customers, and setting up innovation in the ecosystem: “We might not have it right on Monday, but by Friday we will fix it,” he offered. “We have to know and care more,” he added. “This is a customer-to-business economy… everything has to start with that empathy for the end user,” he said. 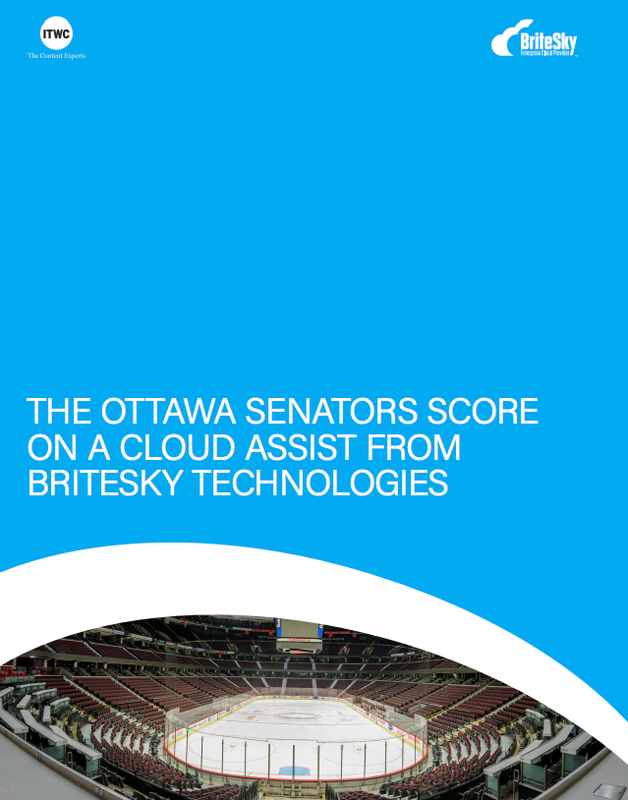 This includes a stronger focus on real-time interactions and making it easier for enterprises to move to the cloud. He formally committed an “SAP value assurance” for enterprises, saying it was a pledge to speed up new deployments and improve access to customer support. He also touched on the importance of being more personally accessible to customers, going so far as to providing his email address — bill.mcdermott@sap.com. SAP is in a unique position as a technology company, McDermott told ITWorldCanada.com during a post-keynote executive Q&A session. The company is recognizing how important the cloud and network technologies are to today’s organizations: “We always want the technology to be a little bit ahead of the education of the workforce and the ecosystem. People learn, catch up to the technology and then deliver with excellence” he said. To that end, SAP made a host of announcements at the event, most notably its renewed partnership with Microsoft Corp. to deliver broad support for the SAP HANA platform deployed on Microsoft’s Azure cloud platform. The companies have collaborated in the past to varying results — primarily around on-premises business intelligence and data integration — but the new announcement focuses on digital transformation and helping organizations move to the cloud. SAP HANA will be able to run on Azure by the third quarter of this year, McDermott said. This includes certifying SAP HANA to run development, test and production workloads on Azure — including SAP S/4 HANA — and tighter integration with between Microsoft Office 365 and SAP’s Concur, Fieldglass and Ariba products. This also includes improved management and security for its custom SAP Fiori apps. 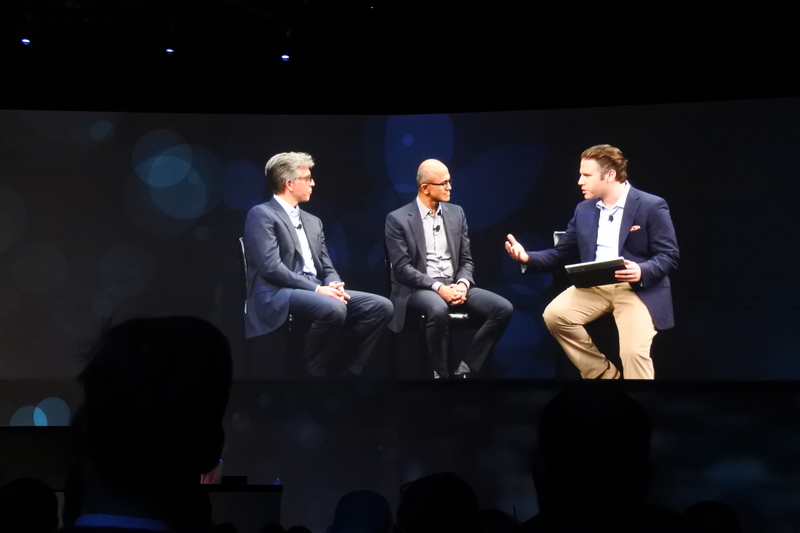 Microsoft’s Satya Nadella accompanied McDermott on the stage floor, and outlined why the business alliance aims to take advantage of its own hyperscale cloud offering with SAP business software products. So for enterprises using Office 365 and SAP accounting and inventory systems, Nadella saidd the appeal lies around tighter integration and greater productivity by not having to switch between products to get work done. The company is making a push around its HANA relational database management infrastructure. This includes new updates around graph data processing — enabling enterprises to visualize data connections to understand complex relationships between people, places and things — and new capture and replay functionality to enable cost and downtime-conscious IT departments to capture live workloads to evaluate new features, assess upgrade options and measure impact before making changes to the live production system. SAP also introduced a midsize market version the platform: SAP HANA, Edge edition features the company’s predictive analytics software and supports a 32 GB database and 128 GB of dynamic tiering, enabling IT personnel to manage data as it grows by moving from in-memory to lower-cost storage as needed. Keep reading ITWorldCanada.com this week for more news out of the SAP SapphireNow event. Will Flash be dead by end of 2016?